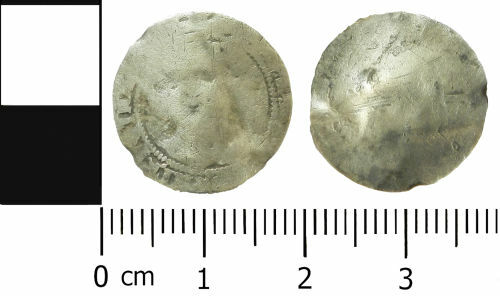 A Post-Medieval silver probable halfgroat of Elizabeth I - Charles I (AD 1558-1649). London mint. The coin has been pierced. A worn and illegible Post Medieval Three Pence of Unknown ruler, possibly Elizabeth I or Charles I. c. 1558-1649.